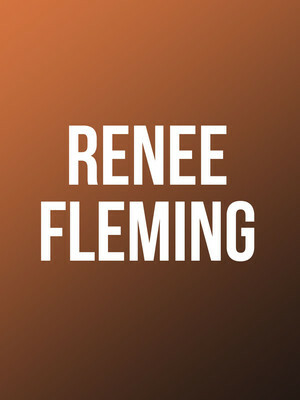 One of the most beloved and enchanting sopranos to rule the American opera houses, Renee Fleming is a multi-talented performer whose repertoire spans across Barber, Handel, French opera, jazz and even indie rock! Winner of both the National Medal of Arts and Richard Tucker Award , Fleming has retired from full-time opera and now concentrating on mixed rep concerts - in fact, she is headed back to Broadway in 2018 to take on the leading role of Nettie in a brand-new production of Carousel. Don't miss this rare opportunity to see one of America's leading divas sing in your city. Her latest album Distant Light was released in January 2017, entering the UK Classical Music chart at number eight. Titled after a poem dedicated to Fleming, Distant Light ventures into Scandinavian music, a new trend following the success of Disney's Frozen. Sound good to you? Share this page on social media and let your friends know about Renee Fleming at State Theatre. Please note: The term State Theatre and/or Renee Fleming as well as all associated graphics, logos, and/or other trademarks, tradenames or copyrights are the property of the State Theatre and/or Renee Fleming and are used herein for factual descriptive purposes only. We are in no way associated with or authorized by the State Theatre and/or Renee Fleming and neither that entity nor any of its affiliates have licensed or endorsed us to sell tickets, goods and or services in conjunction with their events.